What better way to get the necessary nutrients every mom-to-be needs than with a delicious homemade smoothie? 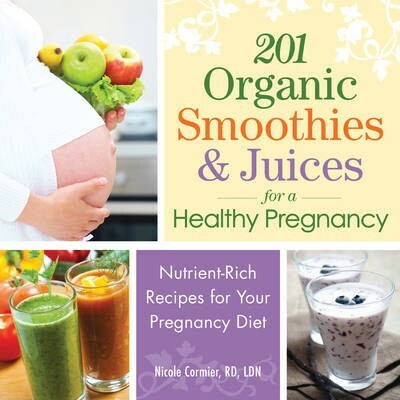 201 Organic Smoothies and Juices for a Healthy Pregnancy gives expectant moms plenty of ideas for healthy, satisfying juices and smoothies. Whether they're craving something sweet and fruity or rich and delicious, there's plenty of options for drinks made with fruits and vegetables.